Occloud 9 > Learning Center > What Is Virtualization? Virtualization and The Cloud has become the driving force behind all new technology solutions of the future. 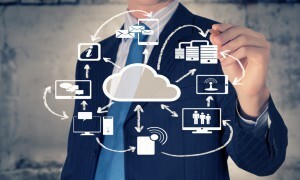 The Cloud has hit the IT world by storm and with good reason. The benefits of implementing Virtualized IT Solutions are limitless. This technology allows for more efficient utilization of network server capacity, decreased rack space, simplified storage solutions, reduced energy costs, better use of corporate capital and it leaves a lighter carbon footprint on the environment. In other words: virtualized environments help you save money, energy, and space. Not bad, huh? Desktop Computers, Laptops, Company Servers, Software Applications and Development Servers are going live every hour! Aging hardware is being decomissioned before it fails. If your organization hasn’t yet implemented any virtual solutions, it soon will.